The Hubsan X4 H107C is a fun drone. It is super quick, fairly stable and even comes with an HD camera. If you have aspirations of being a drone racer then you should start with one of the Hubsan H107 drones. I’m not saying that it is a racer, but it is a good place for a beginner to learn the skills without breaking the bank. You will likely find yourself wanting some extra batteries and other accessories for your Hubsan. For a complete list of accessories for the Hubsan X4 models that we recommend, please see our page dedicated to those products or visit our easy-to-use Amazon interface to add just the items you want to your Amazon cart. You really can’t go wrong with any of the Hubsan H107 models. They are all fun, fast and stable mini drones. They are quick, but stable in beginner mode. Once you enter advanced mode you’ve entered a new level of fun. These are fast and responsive mini-quads. We like to call them a “Menace to Society” in advanced mode. If you aren’t an intermediate/advanced pilot then you should master beginner mode before you give advanced a try. Don’t believe that this drone is super fast? Well we put it to the test with some vertical takeoff speed testing. The H107C blows away the competition. Read our full article here. Hubsan makes a few different H107 models. We will break down the differences for you later. For beginners we would recommend the H107C. The H107C comes with either a 480p camera or 720p camera. The 480p version can be bought for less than $30, and the HD 720p typically checks in under $50. This is a fun drone for a beginner. We would recommend starting with this camera model because you can learn basic controls in beginner mode, then when you are ready for a challenge you can enter advanced mode. Few drones are as quick and responsive in advanced mode as this Hubsan. We like the camera model because of the added functionality. You can take HD videos of your flights. Generally speaking the H107C(camera model) and H107L(basic model) are roughly the same cost. The basic model is slightly quicker and the battery lasts slightly longer, but the differences would be hard for a beginner to notice. We recommend you go for the camera model. If you aren’t interested in the camera we would point you towards the Eachine H8S instead. Flying this mini drone can be a blast. The remote is nice and the LCD screen shows power percentages. 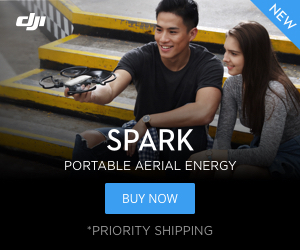 The drone will do flips, but there isn’t a dedicated button to do so. To flip you have to change directions quickly to initiate the flip. It would have been nice if Hubsan added a dedicated flip button like a lot of the other manufacturers. Hubsan H107C or another mini-drone? Hubsan make a few different models that are excellent for beginners. However we have reviewed two other similar drones that you may want to consider. The Holy Stone H170 was built as a direct competitor to the Hubsan X4. It is very similar. Our model is quick, but not quite as quick as the Hubsan. It seems to be slightly more stable and has a nice built in prop guard and landing pads. You can add a propeller guard to the Hubsan if you choose, but it isn’t included. Click HERE to see our full review on the Holy Stone HS170. A second mini drone to consider would be the Eachine H8S. It is smaller than the Hubsan. The H8S is not quite as quick or as stable, but seems to have the “fun factor.” This mini drone has a built in flip function that works well and even will fly upside down. It typically can be found at a lower cost and we have even seen it as low as $15.99 on Banggood. The H8S is one of the our favorite basic drones without a camera. Click here to see our full review of the Eachine H8S. The Hubsan X4 H107 has a few different models. They are all similar in how they will perform, but vary in what features they have. We have broken them down for you. H107L – Has no camera and you can buy the 107L for under $40. We have seen it for as little as $25. Click HERE to check the current price on Amazon. This is an excellent beginner drone, especially if you are thinking about racing. This is probably the quickest of the H107 models because it doesn’t have the added weight of a camera. The difference in performance is minimal, especially for a beginner. If you want a camera check out the H107C. It can be found at a similar price point and is even sometimes a little cheaper. H107C – Has a camera but no FPV . You can purchase the H107C in a variety of different colors. We have seen it range from $30-50 depending on the color combination. The 107C can be a steal sometimes on Amazon if you don’t care what color you want. Click HERE below to check the current price on Amazon. 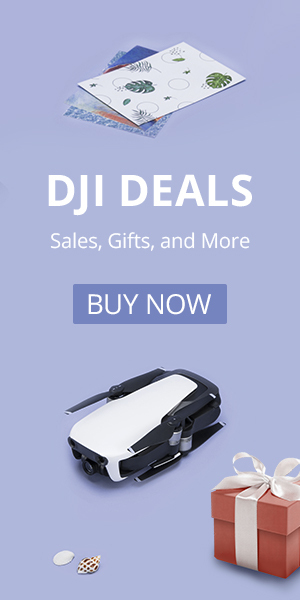 Like the H107L this is a good drone for a beginner that wants to build skills flying a quick drone. H107D – Has a camera and a remote with FPV. It usually costs around $100. This was the model that we reviewed and tested the most. It is a decent drone with FPV for starters. The field of view of its camera is a bit narrow for good positional awareness, but it’s dedicated video transmission works better than competitors that use WiFi. Click HERE to check the price on Amazon. If you are serious about learning to race drones this is a very good entry model to practice FPV flying at a fraction of the cost of a racer. We have done a full review of the H107D HERE. There are also two newer versions of these models. Here is a rundown of the newest Hubsan X4 drones. Half Chrome is waiting to get their hands on one of these newer plus models for a full review. H107C+ – This drone is an upgrade to the H107C and adds a better camera (720p HD) as well as some better flying features (headless mode). It generally costs $50-65. Click HERE to check the current price on Amazon. H107D+ or V2 – This is an upgrade on the H107D. It adds a better HD camera and some additional features. It will cost around $125-135. Click HERE to check the current price on Amazon. No worries Half Chrome Drones has you covered. Maybe you want an aerial photography drone, or maybe you want a fun toy. Want FPV? We’ve developed an advanced system to match you to the right drone. We call it our Half Chrome Drone Cipher™, go check it out. We also are constantly updating our Best Drones Now page to help you stay current. This website contains affiliate links, which means we receive a commission if you make a purchase using these links. For full details visit the disclosures page. We x-rayed a Hubsan X4. Why? Why not?